HERE NOW, FOR WHEREVER NEXT. 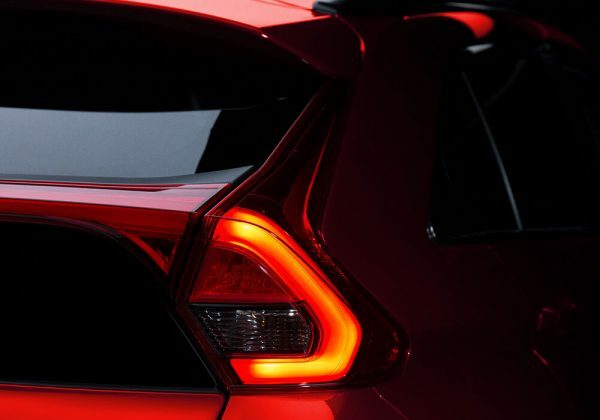 The distinctive LED rear lighting of Eclipse Cross reflects its individual dynamism. Music, Apps, phone, messages all in one spot from the intuitive Smartphone Link Display Audio (SDA). Simple to use, a touchpad allows you to control your audio and media. 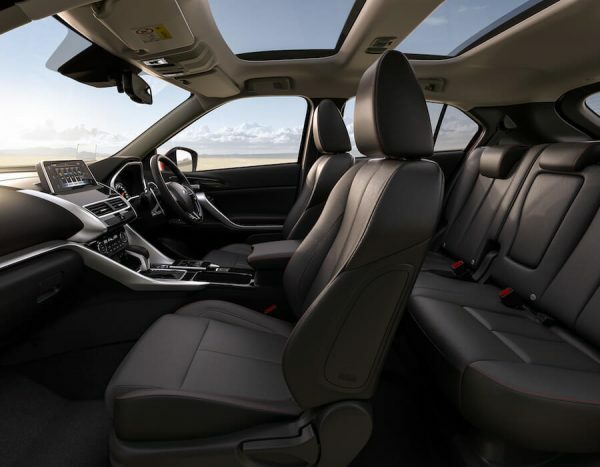 The sporty interior of the Eclipse Cross quickens your pulse and heightens your driving experience. 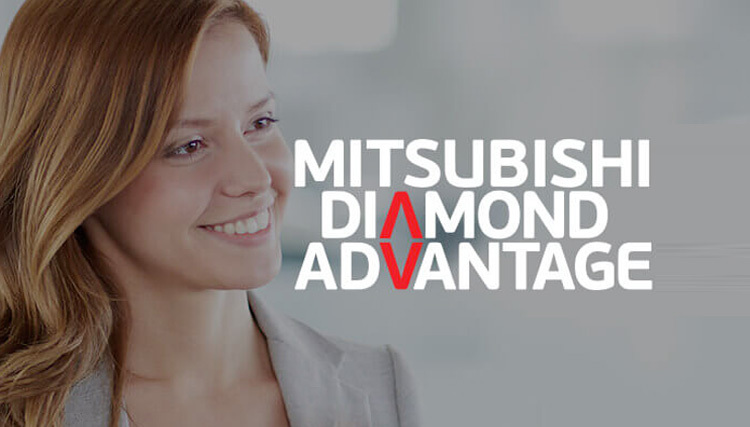 Every detail has been designed to enhance your awareness and control. Available on Exceed models, the Head Up Display conveys a range of vehicle information above the instrument panel for easy viewing. You can adjust image brightness and display height to suit your preference and time of day. It can also be set to extend or retract when you turn the ignition on or off. Smartphone Link Display Audio (SDA)^ is a true extension of your smartphone via Android Auto™¹ or Apple CarPlay². Connected to a 7 inch touchscreen, you can access your phone’s compatible apps, get directions, make calls, receive messages and listen to music from any source including DAB radio. 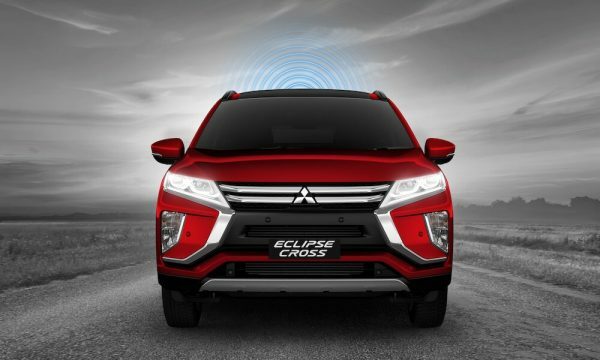 Eclipse Cross Exceed’s Multi Around Monitor provides a 360° birds-eye view of your car. The views from cameras mounted on the front, rear and sides of the vehicle (including bird’s-eye view) can be displayed in various combinations to reveal what is in blind spots and help you park more safely. Smart Key with one touch start allows you to unlock the doors and tailgate, and even start and stop the engine with the touch of a button, all while your keys are safely tucked away in your pocket or bag. 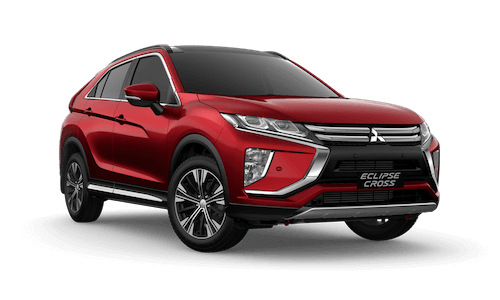 Eclipse Cross is fitted with 7 SRS airbags including driver and front passenger, side and curtain airbags and driver knee airbag. 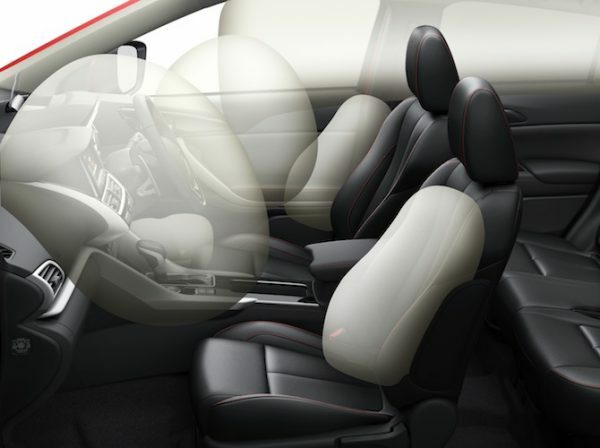 Designed to stabilise your lower body and knees during certain types of frontal collisions, the driver knee airbag provides an extra level of protection when you need it most. Overseas model shown. 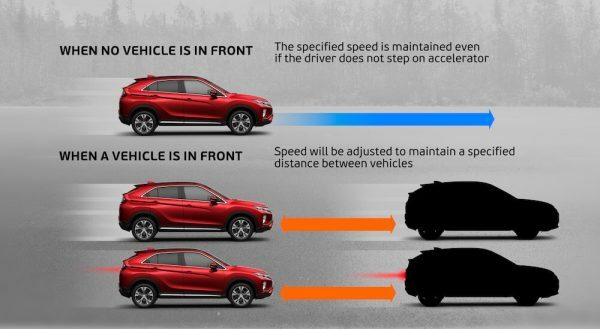 Adaptive Cruise Control uses radar technology to detect any cars in the lane ahead and adjusts the speed of your car accordingly to maintain a safe distance as set by you. 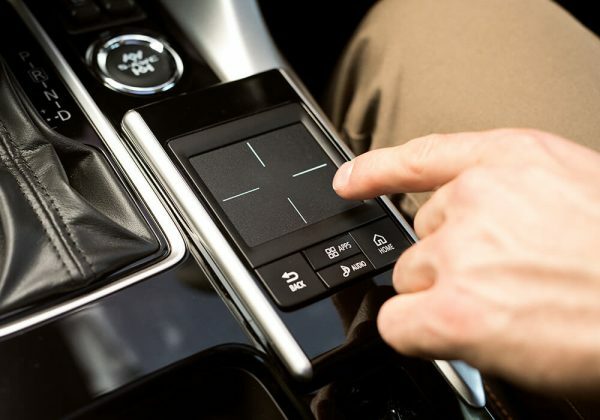 Located next to the shift lever on the centre console, the touchpad controller offers convenient, simple operation of the Smartphone Link Display Audio system with minimal change to your driving position. 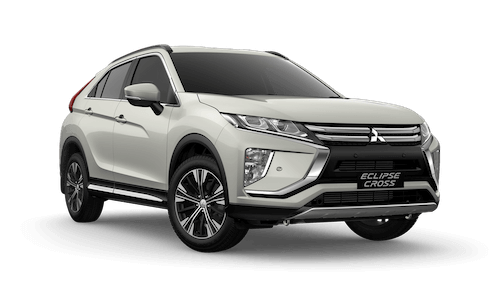 S-AWC intexgrates with Mitsubishi’s Active Yaw Control (AYC), which uses braking to optimally distribute torque to the left and right wheels. Even if you unintentionally brake or accelerate too hard around a snow-covered turn, you can maintain control without extra steering effort. 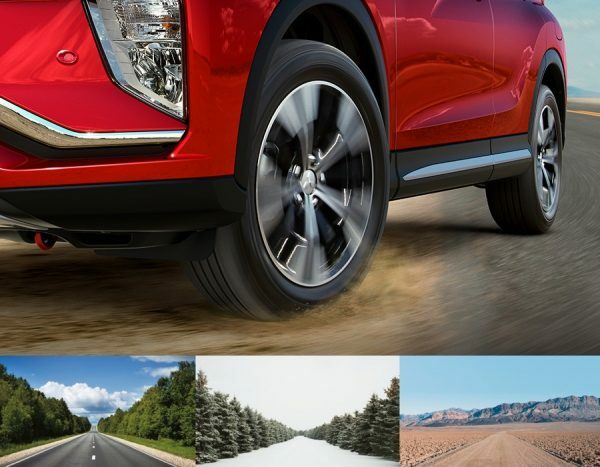 You can choose the AUTO, SNOW or GRAVEL drive mode depending on road conditions to enhance accuracy, straight-line stability and maneuverability on slippery roads. Glide into that tight spot. Back up with confidence. 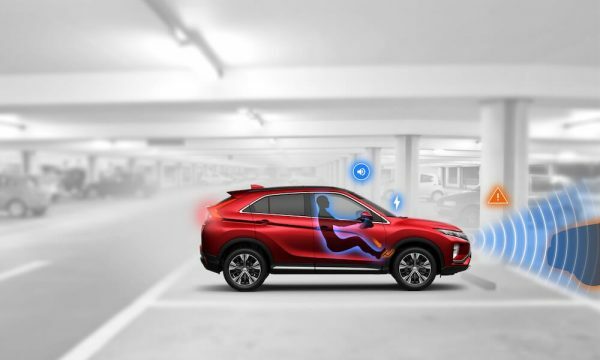 Eclipse Cross’ rear camera view automatically appears on your dash screen as soon as you shift into reverse & reverse sensors warn you if you’re getting too close to objects behind you. 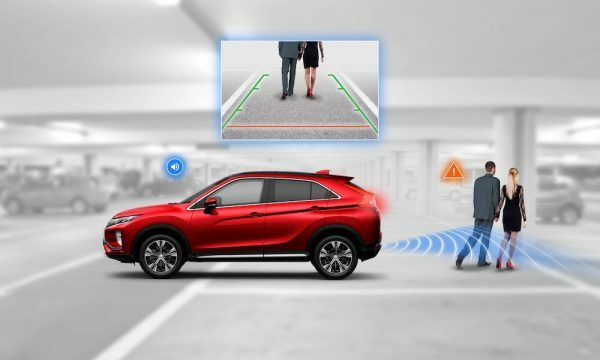 Rear Cross Traffic Alert system helps detect a moving vehicle when reversing. 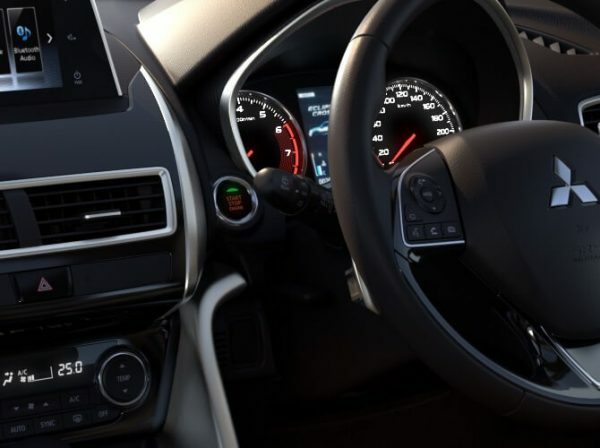 It alerts you via a audible warning, and an indicator lights appearing in the combination meter and side door mirror. 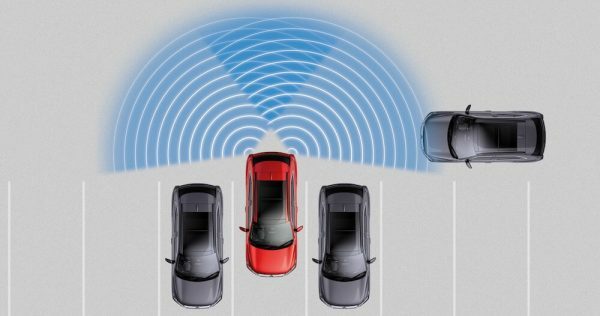 Lane Departure Warning uses a camera to issue an audible alert and shows a warning on the multifunction display if your vehicle drifts from its lane while the turn signals are not operating. 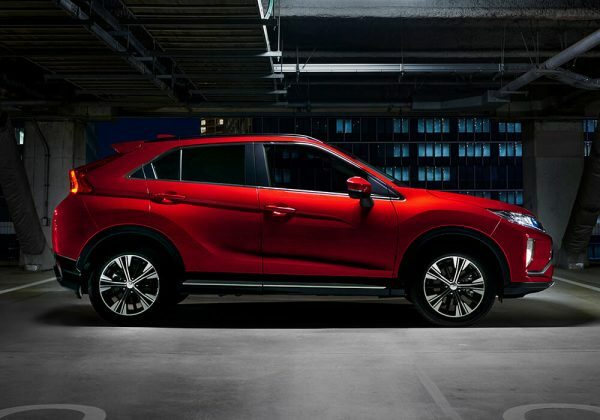 Your Eclipse Cross has the latest intuitive technology to help guide you on the road. 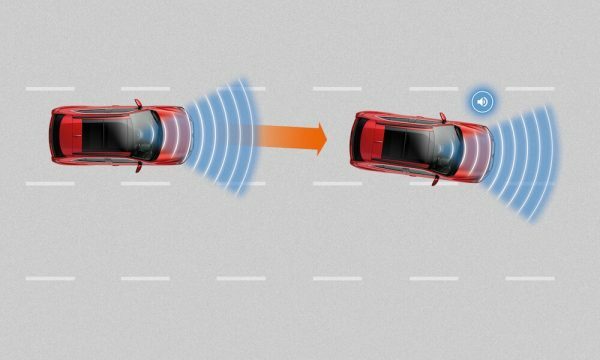 Adaptive Cruise Control uses radar technology to detect any cars in the lane ahead & adjusts the speed of your car accordingly while maintaining a safe distance set by you. 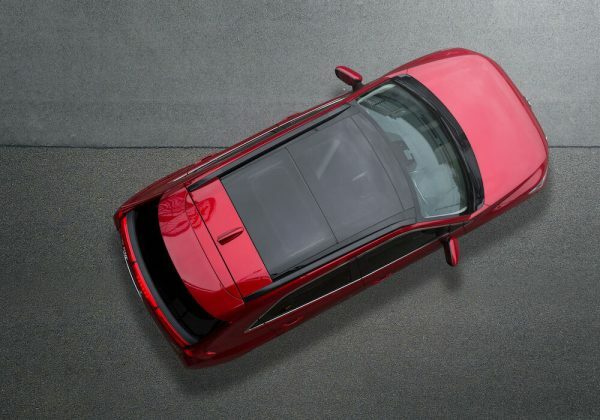 Confidently change lanes with Eclipse Cross Exceed’s Blind Spot Warning system. 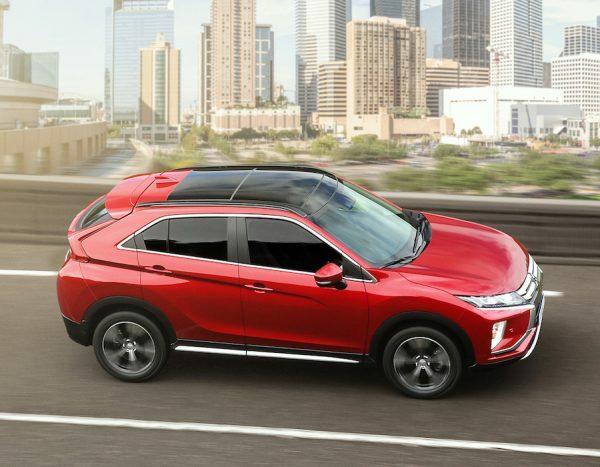 The Lane Change Assist system sounds an audible alert and displays a blinking warning in the door mirrors when the system detects a high collision probability with a vehicle coming from behind moving in the same direction within 3.5m from Eclipse Cross’ side or 70m from its rear bumper. Dusk sensing headlamps on Eclipse Cross automatically illuminate in fading light or when you’re travelling through a tunnel. 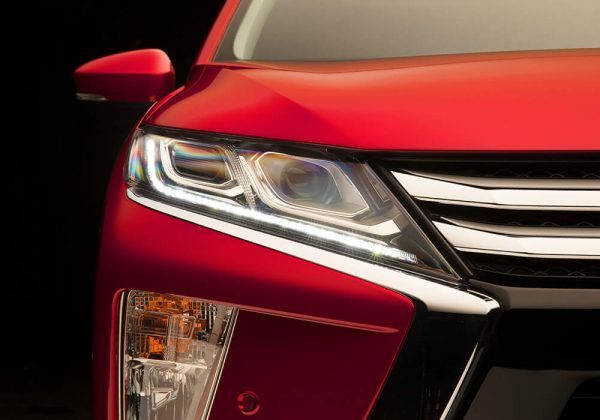 See what a difference Eclipse Cross’s automatic high beam makes at night. It detects both the headlights of oncoming vehicles & the tail lights of vehicles ahead, automatically switching between high & low beams. 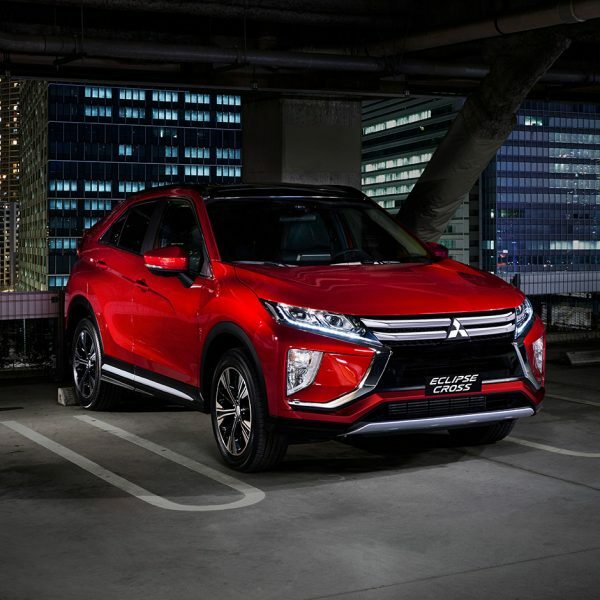 The Eclipse Cross Exceed’s UMS reduces the chance and severity of hitting obstacles 4m in front or behind a vehicle when a driver mistakenly presses the accelerator when stationary or at speeds of up to 10km/h. 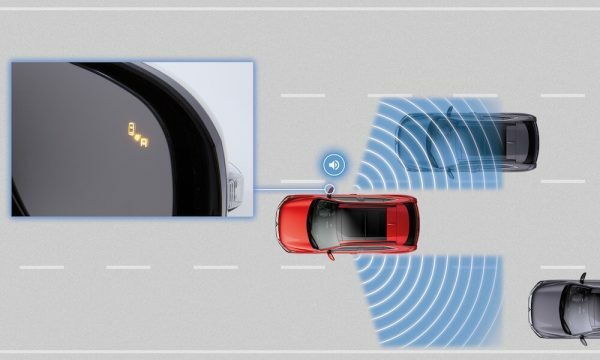 Forward Collision Mitigation system detects obstructions ahead & issues a visual & audio alert when there is danger of a collision, automatically applying the brakes to avoid collision or reduce impact.